I can’t be the only one to notice this…infographics, “viral” videos, Like and Retweet campaigns, they all seem to be trying a bit too hard lately. For example, most infographics I see today are no more than visual press releases with graphical elements tied to information…and then more information…but wait, then more information. If this was just about visualizing scrolls of information, then anyone using free infographic generating tools and a list of interesting data points could make pinteresting graphics. The key is to think less about the packaging and more about the story you want to tell. But even more importantly, it’s time to put the social in social media and craft the story you want people to talk about and share. It’s not every day that I focus on social media tactics. However, I’m sharing this post to address a growing concern among social media and digital strategists and those to whom they report as to why their content performs at lackluster levels. Much of what we see in our news feeds and social streams is adequate but not yet representative of what’s possible. However, if creative professionals and brands overall do not understand what it takes to make content or campaigns engaging, optimism and support for experimentation fades and as such, budgets dwindle. I ask you a simple but important question, who are you creating for? Are you trying to seek the embrace of your customers and the people who influence them or are you designing for those who will approve and fund your campaign? When I wrote Engage, I called for an end to an era where content was king and explained in detail how for the foreseeable future context would reign supreme. With the glut of uninspired infographics, whiteboard videos and data visualization set to the background of “Right Here, Right Now,” the time is now to raise the bar. Social media implies that media is inherently social. Contrary to popular belief, for media to become social requires that marketers and creative professionals design shareability into content. Without doing so, content is at best consumable. By integrating shareability, content transforms into what my good friend Hugh MacLeod refers to as social objects. And, that’s the point. In what’s purported to be an era of social, we need to think about the levers that move passive viewers from a state of consumption to that of curation and creation. Social media is only social when it’s shared and when it sparks conversations. Otherwise it’s traditional media operating under a guise of social measured only by the lack of interactivity rather than the reverberation of dialogue and corresponding echoes. We live in times of transition and there is no one content strategy that reaches everyone equally. One could argue that no one content strategy has ever truly reached “your audience” or its true potential. These are times of context and segmentation based on psychographics not demographics. To thrive in social, mobile and new media in general, we need much more than content producers, we need a new breed of designers that grasp the elements of online sharing and have mastered the A.R.T. of social media to trigger desirable (and social) actions, reactions and transactions. A new genre of social producers are taking aim at developing content strategies that are not only consumable, they’re shareable, actionable and act as catalysts or sparks for relevant conversations. These social producers are in fact masters of their domains and understand the culture and the laws of information commerce within each. The difference between Social Producers and traditional content creators is that they begin with the social outcomes they wish to see and reverse engineer content strategies to enliven them. 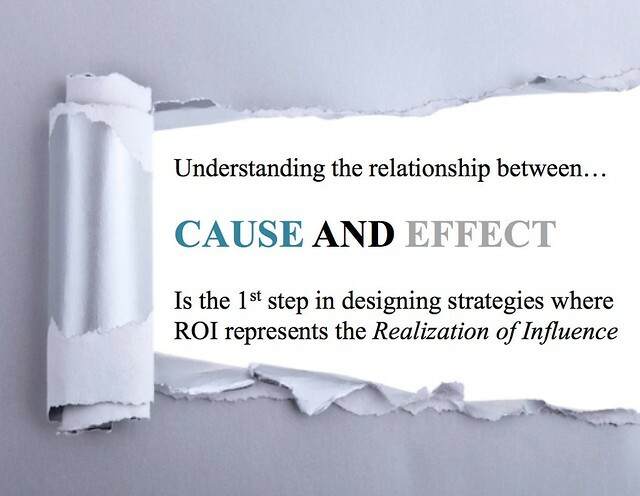 They understand the relationship between cause and effect and they bake-in conversation starters related to an integrated and business-focused strategy and design specific shareable elements as KPIs to measure progress and results. Social producers think about the overall experience and the effect where a social object is at the center of the dialog and interaction they envision…within each network. The overall story and outcome defines the nature of the social object. And the desired outcomes combined with the social effect they aim to trigger is then evaluated network by network. Social producers also borrow a page from the book of transmedia producers. They look at the landscape of social media to evaluate relevant and productive channels and networks available for social storytelling. Whether you love or hate the term transmedia, the point is that an object is only as relevant as its medium and the people who connect with its message and purpose. Multiple objects can tell one story or various facets of the story and they can do so within specific media. For example, a social producer will ask, “this social object may be culturally relevant and compelling for Twitter and Facebook, but will this work equally in Pinterest or in the blogosphere?” Often, social producers will then repackage the social object to tell the same story but in the context of discrete networks to align with how people discover, share and interact within each unique culture. Beyond shareability, the social producers also think about resonance. Conversations on social networks move quickly. What was trending an hour ago gives way to the next social object that captures everyone’s attention until that too is replaced by the next shiny object and so on. Resonance is a technique that allows a social object to enjoy a greater lifespan and continue to swim upstream while other content strategies wash away in real-time. As an example, I can’t help but think of Back to the Future III. Marty McFly is desperately pushing for the steam train to hit 88 mph to jump back into Delorean and head back to the future. But, regular wood only helped the train reach a speed that wasn’t even close. To help, Doc engineered a special form of Presto Logs to throw into the fire at different intervals to help the fire burn hotter and as such, push the train to go faster stage by stage. And that’s the idea of resonance. Social producers design elements into social object so that they can continually rise or align with conversations as they shift over time. If social media is about creating and sharing experiences through conversations and content, start first with the experiences and conversations you wish to rouse. As you think about your content strategy for social networks, do so from the perspective of a social producer. While the social effect is certainly a goal, the social effect is also the result of social design. In the end, people are going to talk, so give them something to talk about! Holy crap, I thought I was the only one annoyed with infographics. I got bombarded with requests to REVIEW infographics from a particular source a few months ago. They were horrible and filled with obvious errors… which I pointed out in my review. Never heard from them again. Wonder why. But to your point I’ve told companies I counsel that you first you tell your audience what they want/need to hear, then you can tell them what you want to say, but before you can to the former, you have to know what they want to hear. Social media makes that possible because you can follow key customers and influencers, see what they find important and then provide them with information they find valuable. With traditional media, that has always been a guessing game. Do I smell another book in the works?? Your graphic at the top is missing. I enjoyed the post though. It really gave me food for thought. Thanks for investing time in this. I shared it with my team. We are often guilty of doing what the client wants (infographics) rather than driving brand engagement in social channels. The limitations Facebook puts on brand pages are un-levelling the playing field in favour of $$ big budget brands. The Internet is mirroring society and becoming a less-equal place. to care about what you are trying to say? I agree… I find infographics annoying and overwhelming. Too much data thrown into a potentially lovely design isn’t working for me. That said, I am intrigued by your assertion that new media producers will be designers and must also understand how to incorporate sharing into their work. I do think there is tremendous value in visually engaging work that communicates a message or a story, I am just not sold on infographics as the vehicle. It will be interesting to see how this evolves. Thanks Brian once again for your insightful observations and articles. I guess a human aspect to this infographic craze is that we tend to imitate those we like or would like to be like. Also they look good, people share them, it drives traffic, everyone else is doing it – so why not do it as well? (I’m guilt of one or two as well) But as you say, the focus should be on responding to the needs of the audience – and the content you are presenting – not use a one-size-fits-all strategy. Brian, I appreciate your post. Infographics aren’t the problem since they are just the packaging and not the story, as you mentioned. You’ve set the bar high for a social producer – a master of the social domain who can design social outcomes because they understand the social landscape and what resonates. I used to say, with social media comes great responsibility. Interesting food for thought especially when I have been given such big doses of infograhics and told how they are the end all be all. You make a few great points and love the fact that you talk about being able to create something that can evolve. Good stuff! Brian, thank you for the insight. I’m a founder of a social loyalty startup and am thinking right now about social media marketing for my brand, so this post is interesting to me. It would be great if you can point to a couple of examples where content is shareable, actionable and has resonance? Thanks again! This was an interesting post. I’d love a follow up post where you share examples. Great article and you’ve hit the nail on the head. For just listing numbers and facts is more what an encyclopedia does that what a teacher does. And facts and statistics aren’t worth anything if they have no underlying meaning or application to the person receiving them. And so as you point out graphic presentation even in a colorful format doesn’t make a list of statistical facts any more revealing nor useful than just listing them. What we need aren’t just the facts nor the numbers behind them but an understanding of what these facts and numbers mean in relationship to what we do. And how we can use them is much more important that that we have them available. It’s the difference in having information and being able to use and process information. One only requires a list of facts the other takes explanation and teaching by someone who shares their time to help us to make them into usable tools. So we need more people who are interested in getting their hands dirty and diving in to make all these charts, lists, and statistical enigmas useful knowledge. We don’t get that by people posting pretty pictures regardless of how well presented they are. I almost missed this post on my timeline because it was hidden between a lot of tweets about infographics. Glad a didn’t! Explainer videos are the new infographics. People don’t want to read anymore. Brian, this is so true! I do appreciate smart infographics but whomever decided they should be an infinite length of scrollable confusion should be chastised. It is amazing how often people don’t get the listening component and the value you can receive. Keep fighting the fight from the top and we’ll keep bringing insight to the table because it IS the end of business as usual. The criticism you’re expressing with respect to infographics betrays a rather narrow viewpoint. First of all, “The Big New Thing” is the big new thing, and always gets tons of play. If you trace the development of every new platform that’s emerged over the past decade (or two), it’s quite easy to point out how they’ve all been over used, or used incorrectly, or whatever. But that kind of complaint is akin to complaining about the traffic in Los Angeles – despite the myriad reasons to drive less, take advantage of public transportation, etc, etc, etc… it’s never going to happen – because you’re complaining about human nature, which is an issue without a resolution. Furthermore, I think we can all agree everyone processes (and/or consumes, if you prefer) information differently. Some people prefer text, some audio, others video, and so on – welcome to the wild wonderful world of the human perception melting pot. I’m dyslexic. Learning to read and write took me the better part of a decade. The post above in which you’re beating up on infographics consists of over 1,200 words. Take step back and think about how that substantial block of text appears to someone with dyslexia (or a similar issue, of which there are many). Now consider what it would mean to this person if the same information could be expressed with words – and – images. Unless you’re asserting an infographic should only be used to express a limited amount of written content, which I disagree with, I think it’s reasonable to assume that an infographic interpreting 1,200+ words of content would extend past the fold. If all read was a complaint against infographics, then I kindly ask that you read this article again. Sure, I point out what’s wrong. But, I also challenge designers to think beyond the generic models that are out and about to tell a story, a meaningful and shareable story. So no, it’s not at all like talking about traffic in Los Angeles. It states there’s a problem and here’s an engineering solution around it. Until your inbox is full of 25 infographics every day asking you to run a post about it simply because it’s an infographic, perhaps you can’t appreciate the inspiration for this post. As a creator of some of notable infographics, it’s well within my realm to discuss how to improve them and marketing tactics and strategies overall. If all you read was a complaint against infographics, then I kindly ask that you read this article again. Sure, I point out what’s wrong. But, I also challenge designers to think beyond the generic models that are out and about to tell a story, a meaningful and shareable story. So no, it’s not at all like talking about traffic in Los Angeles. It states there’s a problem and here’s an engineering solution around it. Until your inbox is full of 25 infographics every day asking you to run a post about it simply because it’s an infographic, perhaps you can’t appreciate the inspiration for this post. As a creator of some of the industry’s most notable infographics, it’s well within my realm to discuss how to improve them and marketing tactics and strategies overall.